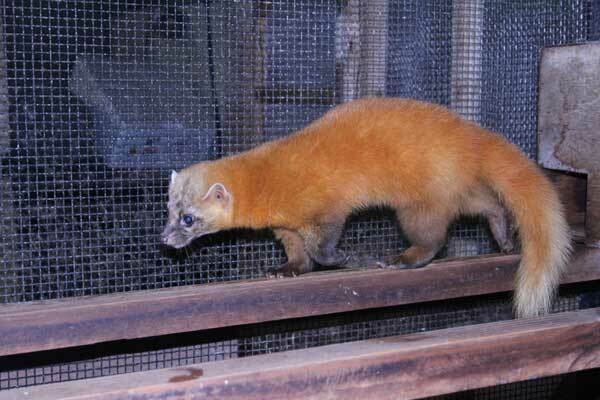 To examine multi-annual variations in the food habits of the Japanese marten (Martes melampus), we analyzed the composition of marten feces in the Bonbori Forest Path in western Tokyo, central Japan, in two time periods a decade apart (1997–1998 and 2007–2008). The staple foods of martens in both periods were fruits/seeds and animal materials (mainly insects and mammals). The martens fed frequently on fruits/seeds and insects throughout the year in both periods, but the consumption of mammals, birds, and arthropods/other animals showed seasonal variations. The composition of fruits/seeds and the frequency of occurrence for each fruit-bearing species differed between the two periods. These results suggest that both the foraging strategy and role of martens as a seed dispersal agent changes yearly, presumably according to multi-annual variation in the availability of prey animals and/or fruits. We emphasize the importance of multi-annual studies both on food habits and to monitor food availability in the temperate region where the food environment changes among seasons, as well as years.